I am BEYOND grateful that I chose to have Lucia and Foster Blue help me plan my dream wedding. Lucia is beyond talented and took the vision I had for my day and ran with it. The day of my wedding, I remember walking down the staircase to see the venue decorated for the first time and being absolutely speechless. She had surpassed my expectations and brought my vision for my ceremony and reception to life. It was magical!! She goes well beyond what is expected of her in every single area and helps you every step of the way to plan and make sure every detail is taken care of for your big day. She also listens to YOU and helps you bring to life the day YOU have always dreamed about. She is an absolute joy to work with every step of the day and is willing to meet you at every planning meeting, vendor meeting or photo shoot you have along the way. Selfless and caring are the two words that keep coming to mind. She is willing to do anything YOU need to make your day perfect. My fiance (now husband) kept saying throughout the planning process and day of the wedding that Lucia has a comforting spirit. She goes above and beyond to make sure you are taken care of and that every detail of the wedding is carried out without you having to worry at all. I was filled with joy and peace throughout my wedding day and was truly able to enjoy all the joy of every moment because I knew Lucia was taking care of everything! Lucia with Foster Blue is the reason this wedding turned out the way it did! She was the most amazing blessing to us, I highly highly recommend her! She did everything, from book appoints with vendors to plan out every second of our big day…literally down to the tiniest details! We love Lucia! Out of everything I spent my money on for my wedding, hiring Lucia was by far the best. She made my dream wedding into a reality. I did not have to worry about anything during the whole process of the wedding. She planned and coordinated everything from the time I hired her… Read More until the wedding a year and half later. I would recommend her to anyone. Thank you for everything Lucia! I wanted to be more hands on with my wedding but needed help with making sure small details were accounted for and checked on. Lucia was a huge help when there was an emergency the week of the wedding. Lucia came through for us and contacted all of our vendors to make sure all of my requests were going to be met. I am not sure how I would have made it through that last week without her. I was unable to focus on the wedding and she made the small details happen. On the wedding day she kept our bridal party as well as family organized especially during the family photos, which I was very scared were going to be chaotic. During the bridal party informal photos she really made some amazing suggestions for romantic and beautiful photos that our photographer was not thinking of. Lucia is the type of wedding planner who will notice and attend to small details to make sure you don’t realize there are any hiccups. I still am not sure if there were any problems since I noticed none. I tend to be a mico-manager who notices very small problems and issues so this made my day extra special to spend with family and friends. I still can’t believe we ran on time for everything and our time schedule was always 15 minutes ahead of time all day, which made both of us more relaxed and able to enjoy our day together. The best thing we did! Booking Lucia was the best thing that we did for our wedding. She is such an amazing person with such a big heart and passion for her brides and their families. Lucia goes out of her way to make sure that you’re happy. She was always available to talk to and always answered our phone calls, texts, and tons of emails. I cannot imagine having our wedding without having Lucia there to coordinate it for us and help to plan over the nine months. Lucia went with us to every vendor meeting and even almost every dress fitting that she could go to. Having Lucia help us was BY FAR the best decision we made in the entire wedding planning process. If we didn’t have her for the entire wedding planning process, I don’t even know how we would have managed to have the wedding day go off perfectly without her. Everything with Lucia was perfect, and I can’t recommend her highly enough. Our daughters wedding ended up perfect. First of all, we thought we could do our daughters wedding without a planner. We knew Lucia for before, and she meet with us early with her suggestions. My daughter has a very strong and positive personality, and she was absolutely sure we could do everything herself. That just could not happen, so if someone in your family tries to tell you otherwise, get over it right a way. There is no way you could be the bride or either of the brides parents and do all that is required yourself. I personally went to the venue for the reception early in the am just to make sure everything was going as planned. As you could expect, the people were working on the flowers, and the rest was being set up. I did my thing. Lucia arrived about lunch time and I was never as glad to see anyone in my life. She just calmly pulled everything together. At the last minute, we noticed water on one of the tables and found a cracked vase. At the end, there was water everywhere. It was a big deal to me, but not to Lucia. She fixed it. Everything seemed to come together when the flower lady asked me who we were getting the arangements for the service to the church? Of course, Lucia offered to handle that too, except they were to tall to fit in her car. It was left up to me to get them to the Church. I had a good buddy with me, I got one arrangement, he got the other. Unfortunantly, the plastic bucket the arrangement was in broke when he picked it up, breaking the vase the arrangement was in. We were devistated. Lucia left the venue in downtown Dallas, drove back to here home in Grand Prairie, and loaned us her vase. She and the flower lady meet at the Church and no one ever knew the difference. During the ceremony, Lucia kept everyone together and everything went great. Her personality had everyone’s attention, but she was fun also. The wedding day is suppost to be fun, and Lucia makes it correct and fun. Lastly, at the reception, once again, I felt like I could make everything happen on time. We did actually have a planned sehedule since we had 240 guests. There would have been no way it could have happened without Lucia. This is my only Daughter, and I am sure there are other good people out there, and my only experience has been with Lucia, but I can say for sure if I had any other daughters, Lucia would be a lot more envolved form the beginning. She really knows weddings. We just thought we knew what and how to do it. Wedding day proved us wrong. You need Lucia!!! Lucia is a classy lady with great taste! I hired Lucia to coordinate and plan my daughter Ashley’s wedding. She is with out a doubt the sweetest and most caring person to work with. Lucia put her heart and soul into making sure that my daughters wedding day was exactly what she in visioned. 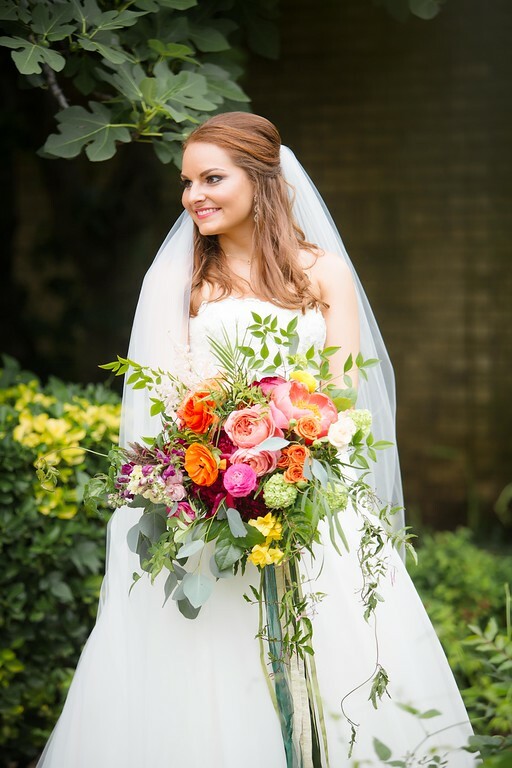 She spent countless hours in pre-planning and attending all appointments including 6 bridal salons looking for dresses. I had no idea the amount of time Lucia would be spending with us and the time she spent coordinating all vendors to make Ashley’s day exactly what she wanted. I feel like the money we paid to Foster Blue, Lucia… Was the best bargain of all. Lucia is worth her weight in gold for the calm and organization that having a great coordinator provides. You can tell that she is not just doing this as a “job” but she really has a passion for weddings. She’s professional, warm, accessible, flexible, organized and listens. On the day of our wedding, Lucia worked her magic and made the day go very smoothly. She was invaluable to help with the little details that exist and went above and beyond on the day of our wedding! As the bride, I didn’t have time to worry about the little things behind the scenes… It was great knowing Lucia was there and took care of them. Here’s an example: Day of wedding, someone carried one of the ceremony bouquets the wrong way and the flowers busted through the vase. The florist was crying and everyone was freaking out. Lucia said “No problem guys, I have a couple metal vases at home ill swing by and grab” I didn’t even know this went down the day of and wasn’t bothered by the potential “day of debacle”! Having Lucia as the coordinator allowed me to experience my wedding day, which is the point! I could not be more pleased with her help as a coordinator, and as a person. Hiring a wedding planner was something my fiancé had never heard of. He was not happy that I had spent some of the wedding budget on Lucia’s services. That was until the ball began to roll and things started getting really hectic with work, we were able to let Lucia handle the details. On the day of I never once worried about a thing, Lucia and her team took care of every single thing! I can’t tell you how happy I am that she was a part of our day! Lucia is the best! I was so worried about the day of being stressful, I was wrong. She truly made my wedding the best day of life and I an not thank her enough for everything she did. I wish we had hired her sooner. I was the happiest, carefree bride because of her. She’s wonderful. Lucia of Foster Blue helped to make my wedding day the most amazing day of my life. Being that I had to be one of the busiest and most challenging brides ever since I was not only located over four hours away in San Antonio, TX, but also juggling the role of being a fiancé along with that of being a dance instructor, choreographer, barista, legal assistant and SeaWorld advocate, Lucia did such a wonderful job helping pull together all the details we hoped to have on our big day. The venue at Classic Oaks Ranch in Burleson was perfection, and the added luxury of arranging our engagements photos to be taken on their property was such a blessing! From helping us find the greatest location at Classic Oaks, to helping us book the greatest photographer, Hello Beautiful’s Rebekah Greenwalt, Lucia’s expertise was key to helping us discover and piece together all the necessary components for Ryan and I to have the most beautiful wedding day ever. Lucia helped to orchestrate a day that even had my 70 yr old grandmother dancing for the first time ever! It was truly an event for the ages that was the most gorgeous way for us to begin our lives together. Hiring Lucia and Foster Blue was absolutely the BEST decision I made during my entire wedding planning process. My wedding was at my parent’s ranch and I had no idea where to start with the planning process, and no one to help me through it until I hired Lucia. She is so creative and resourceful. She took what I had envisioned for my wedding and made it better than I ever possibly could have imagined. She handled EVERYTHING, and always with a smile and a little laughter. From the big picture down to every tiny detail, she is the reason my big day was perfect. Even through all the unexpected crises that are bound to happen when you’re planning a wedding, she handled them with ease. I was never worried that things wouldn’t work out – I had Lucia! Everybody loved her – mom, dad, wedding party, groom, and especially the bride! 🙂 She will absolutely get the job done. If you hire Foster Blue you will not be disappointed. Lucia is amazing! While my daughter and I had spent months in the planning process and secured all of her vendors, I knew we wanted to have a day-of coordinator. It turned out to be one of the best decisions we made! Lucia was recommended by a vendor and was happy to meet with us somewhat after hours around my daughter’s hectic work schedule. She never rushed us and, in fact, spent some time simply getting to know my daughter and her fiancé. We are detail oriented people and were quite impressed with the fact that Lucia is, too! From the time we hired her the very next day, she began to gather all of the information regarding each vendor, contact information, timetable for arrival on the wedding day, etc. She contacted each and every one of them at that time and again the week of the wedding to coordinate final details. When wedding week arrived, we were devastated to find a substantial chance of rain was in the forecast for Saturday. As the week went on, it only got worse. While we had planned an outdoor wedding, we knew our venue had two very large overhangs in the event of rain. It certainly left things somewhat up in the air right up until the last minute though. Once we had our rain options set in place at the rehearsal Friday night, I was finally able to relax a bit. Lucia assured us she would do the worrying for us and take care of everything on Saturday. She said we were not to worry about anything and instead just enjoy the afternoon getting ready in the hotel suite. Her assurance and calm demeanor were just what I needed at that point! Well . . . Saturday afternoon brought a torrential thunderstorm with wind gusts up to 35-40 mph. Tears were shed in the hotel suite and the drapes were drawn. At that time, I was EXTREMELY glad I wasn’t at the venue dealing with the stress, but knew that Lucia was. To this day, I don’t know the full extent of everything Lucia took care of that afternoon, but the rain stopped ten minutes before the ceremony and everything turned out beautifully. We truly didn’t have to worry about a thing and it WAS wonderful being able to simply enjoy the event. I highly recommend Lucia and Foster Blue. Lucia at Foster Blue is the best! I can’t say enough good things about Lucia! We had five months to plan our daughter’s wedding, and she did a fabulous job! She is organized, calm, has great suggestions, and recommends outstanding vendors in the price range you give her. Lucia covers every detail, and makes wedding planning stress free. She is lovely to work with~I highly recommend Foster Blue! Need a wedding planner?? Lucia Bitnar. Lucia’s name was passed along to me as a recommendation from a friend who had just been married a couple of years earlier. She had many wonderful things to say about Lucia, and I must say… they could not have come close to telling how amazing she actually is. Not only did Lucia help every step of the way, she ensured that every detail was attended to and nothing went unnoticed. Lucia, is a wonderful person. She has such a lovely attitude and really makes her bride feel special. I live in New York City and worked with Lucia to plan our beautiful wedding all the way in Texas. She worked with my schedule and was so on top of all the small details I would have never thought of. Since she has so much experience, she was great at jump starting ideas and helping us think of ways to make this wedding ours. My husband and I came down for a week to attend to all of our wedding appointments and line up vendors – Lucia scheduled them so perfectly that we felt completely at ease by the time we wrapped up our trip. When our special day finally came, I think I was more calm than I have ever been and I let her handle everything (something that in any other circumstance would have been difficult for me since I can be a control freak). I enjoyed every second of our day. She listened. She delivered. And we so love her for all that she did. It was truly the happiest day of our lives and she was the glue that held it all together. Thank you, Lucia. What a beautiful person you are and I am thankful to know you. Lucia turned my unique vision into the most perfect night of our lives. All of our guests are still RAVING about our wedding and many have claimed that it was by far the best event that they have ever attended. Foster Blue was the best choice I ever made with my wedding planning. I have no idea how people plan weddings without Lucia! She honestly became like family to me, people would even ask if we were related because of how close we became. But that’s Lucias personality, so loving and genuine! She made everything so easy! She scheduled and went to all of my appointments and she designed the wedding of my dreams. She was able to figure out my taste and style at the very first appointment and within two venue visits she nailed it. Most people visit 10-20 venues before they find the one, but she knew me so well! What was so amazing is the connections Lucia has with wedding companies, on more than one occasion I got discounted specifically because “well since you’re working with Lucia, we will do it for this amount instead of this.” My sister is engaged to be married in May and the first thing my mom did was hire Lucia again. I could go on and on about her services but she really is the best planner and wedding coordinator out there. Worth every penny! The Planner I didn’t think I needed! When Lucia first introduced herself to me, I just knew I had everything under control, and I didn’t need her. At that time, maybe I did. I am planner by profession on the corporate side, so I thought this wedding was going to be a breeze. I could not have been more wrong. Not only did Lucia think of critical things I did not, she also made great suggestions to make our day spectacular. She took my ideas and put them in motion. She made sure everyone and everything was under control at all times, she was always calm, her sense of humor is fantastic and I could NOT have done it without her. She is everything you would ever want in a planner and I highly recommend her. If you want a smooth planning process and a spectacular day that you will not have to worry about, Foster & Blue is a must-hire. Lucia Bitnar of Foster Blue is truly priceless. There are not enough words for me to explain how wonderful, kind, professional, caring, diligent, and sweet this woman is. She made sure that my wedding day was everything I wanted it to be and through the process she became a wonderful family friend. Lucia takes the time to get to know you and your family to ensure that she is helping you make the day that YOU want and offers her opinion (which is invaluable) only when it is asked for. I couldn’t believe how much work she did to help me plan my day, from initial meetings and brainstorming sessions to going with me to all meetings with vendors. She isn’t afraid to speak up on your behalf but always does so professionally and with grace and kindness. Lucia knows some of the best vendors in the business, and the wonderful things vendors have to say about Lucia shows why she has the incredible reputation that she does. And I cannot say enough about how amazing Lucia is to have around on the day of the wedding. 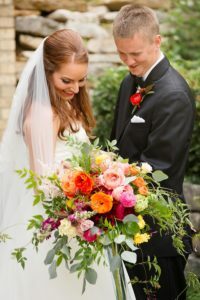 I have heard many stories about planners that get stressed and tense on wedding day and I feel so blessed to have had a planner who was the epitome of calm, cool, organized, and professional. She made sure everything went off without a hitch and was so kind and sweet when telling me or anyone else what we needed to do and when, and her presence helped keep everyone calm. I know that Lucia did many things for me and for my wedding that I will never know about as far as communicating with vendors and double checking on all the details. She genuinely cares about her brides, and you can tell she truly loves what she does. Lucia and Foster Blue are truly one in a million and I will forever be grateful because my wedding day was everything I dreamed it would be and more, and I have Lucia to thank for that. Lucia was outstanding. I never once had to worry about my wedding details. She was such a blessing to us and took amazing care of us. Her attention to the details made a huge difference in the design and decor. I remember on my wedding day, feeling the daze of the moment and when I saw her face she took care to make sure I knew where to go and what to do next. My wedding was perfect thanks to her. 5 stars is not enough to rate her. I rate her as 10 stars! Every moment from beginning to end was incredible, beautiful, amazing, memorable, perfect. Lucia Bitnar and Foster Blue & Company were a true blessing for my daughter and me from the moment we met her. Her attention to every detail is mind-boggling. Her ability to listen to your ideas and then create something that far exceeds your own imagination is incredible. She is diligent in every single creative aspect. Helpful, attentive, caring and full of grace, she guides you through the process. Every vendor she recommended was excellent. Lucia has an uncanny ability to visualize exactly what your trying to accomplish and is always prepared. She accompanied us on all vendor visits and everyone was outstanding and she makes you feel as if your wedding is the only one that has her attention and you are her only client. She is more than just a wedding planner, she is a guidance counselor, a friend, director, coordinator, advisor, quick problem solver…kind and understanding,encouraging. Our dream wedding was 100% stress free and enjoyable. Lucia was a joy to work with. I could go on and on, write a book about Foster Blue & Company but I will just say this company has the highest recommendation I could possibly provide! Thank you Lucia! I can’t even begin to tell you what a gift Lucia Bitnar and Foster Blue were this past weekend for our son’s wedding! I wanted to tell everyone: book her now because she is priceless! Lucia was so organized, informative, encouraging, positive, calm, and on and on. Some of the things I also appreciated about Lucia is that she is so good at communication, answers questions before we can even ask. She was so thorough in regards to setting up vendor appointments, scheduling their arrival times, and being there at the wedding venue to meet them. They knew her well even before the wedding began!!! What I appreciate the most about Lucia though is that she is the advocate for the bride and groom. If there is someone or something that comes up that may interfere with their perfect wedding, she addresses it calmly and states ” this is what THEY want. If there was timidity in any area where the bride and groom were unsure or had the possibility of being run over by a vendor or venue, she stepped in quietly for encourage or make suggestions to them. She is like a band director, conducting everyone to their places, their roles, their timing, etc. She kept the ball running smoothly! She makes the bride, the groom and their mothers so excited and worry free the day of the wedding. What an answer to our prayers ( and for allowing us to sleep at night instead of thinking of the million details she had already thought of)! Thank you Lucia for who you are and for what you do with excellence! PS, I had so many family members and attendants tell me how wonderful she was, even down to making sure my 90+ year old parents got their food at the reception! Bravo!!! Lucia is the most creative people I have ever met, and she made planning our reception fun, easy, and memorable! She took our interests, passions, and ideas, and made them come to life. I never thought I could have a reception that was such a reflection of my fiance and I – I loved every minute of it! And the best part of it, was that I didn’t have to worry about a thing! Lucia took care of all the contacts, setting up all the appointments, hiring all the vendors. She has a lot of energy, enthusiasm, imagination, and love, and she shares it with her clients! She made our reception very special and memorable, and i would highly recommend her to anyone who wants a wedding day to remember! Our experience with Lucia was AMAZING! During the planning process, Lucia became a friend and family member. I can’t imagine how things might have been without her. We always felt special as if we were her only clients. Lucia is full of great ideas and has her own “Lucia way” of making things happen. We have been married for over a year now and still continuously receive complements on our wedding. Her organization, as well as special touches really helped the entire planning process to be an absolute wonderful experience! Our Daughter’s Beautiful Wedding…Thanks to Lucia! How do you plan a beautiful wedding when the bride and groom are both in the Army, the bride at Ft Sill, OK and the groom at Ft Hood, TX …and when one set of parents lives in Maryland and the other in California? And pull it off in 70 days from engagement to ceremony? You call Lucia at Foster Blue! She was the BEST, and absolutely INCREDIBLE! None of us could afford to be running back and forth to Dallas. We needed someone who was organized and had great taste. With so much to do and so little time, I flew to Dallas to meet up with Courtney & Stephen and then on to meet Lucia. She came PREPARED … she had appointments set up and as we drove from one to another she was on the phone setting up more. In that first weekend, we had the venue, met the minister, and arranged for the DJ and musicians. When I flew home, I could relax because I knew EVERYTHING would be taken care of … and it was. From that weekend until the wedding, Lucia was in contact with us continuously attending to every detail. As a result, Courtney had the wedding she dreamed of …everything was beautiful and the wedding came off without a hitch. As Courtney and Stephen approach their first anniversary, we still talk about how much FUN everyone had! Lucia was a JOY to work with … I give her my highest recommendation! Lucia was absolutely amazing! She helped my husband and I plan our dream wedding in less then 70 days! There’s no way we could have done it without her, she is a true magician when it comes to weddings. She knows all the right vendors for all of the right prices and knows just the right thing to say to calm down a stressed out bride!!! She is all about what the bride wants and was an absolute pleasure to work with! Lucia is much more than a wedding planner; she is a friend, counselor, and sounding board. When I called her I had no idea how I was going to put together a wedding. She walked me through the preparations step by step and kept me on schedule. She connected me with vendors and companies I would have never found on my own. Lucia dealt with the entirety of my wedding planning making my yearlong engagement stress-free and enjoyable. In addition, she took all of my ideas and visions and put them together to create a picture-perfect wedding. I highly recommend her! Foster Blue & Company was my saving grace! Lucia Bitnar was my saving grace when it came to my wedding. She was there to hold my hand through EVERYTHING! From the day I got engaged and called her to the day after my wedding she was there to ensure that my vision of the perfect day came to life. Lucia set up all the vendor meetings for me and went to every single one of them with me. Lucia even worked with my photographer and helped me style my engagement shoot! At times I was very indecisive, so when I would change my mind about something I knew I could call Lucia at anytime and she would be there to help me recreate my vision. The day before my wedding I had to change venues and I found out that the arrangements for our recepetion dishes fell through. I quickly turned to Lucia and she worked her magic! She completely took all stress away so that I could relax and enjoy every moment. I could not have asked for a better wedding planner. My day was better than I had ever imagined it to be and it could not have been done without Lucia Bitnar. Lucia works with many brides, but when you are with her she makes you feel like you are the only one and the most important. My husband and I look back at our wedding photos and are so blessed to have had such a perfect day. Brides, if you truly want to enjoy every minute of your wedding experience you must give Foster Blue a call. I would reccomend Lucia Bitnar of Foster Blue & Company to everyone! Lucia is absolutely to best! She helped me get together an amazing wedding in not a lot of time. She had very creative ideas that really made the wedding beautiful. All of the people she recommended were great and did an excellent job! Thank you SO much there is no way I could have done it without you! Lucia was wonderful. She assisted with the planning of the wedding and the coordination of events and vendors on the day of the wedding. I was a very picky and detail-oriented bride who knew exactly what I wanted, and she made it all happen. I could not have done it without her. She was very flexible with meeting times and kept me on schedule with the tasks involved in the wedding preparation process. She helped make my wedding a dream come true. I would highly recommend her! I had no experience with wedding planners before my own wedding. Lucia was absolutely wonderful. Throughout the year of planning, she helped with finding vendors, helping me figure out exactly how we wanted to spend our money on the wedding and gave cute ideas throughout the year. Then when it was wedding time, she was even more helpful than she had already been! She worked so hard and made it look effortless all at the same time! I am so thoroughly impressed with Lucia and I couldn’t have asked for a more sweet, thoughtful and organized wedding planner for our special day. Hiring Lucia was the absolute best decision we made. I was an “out-of-town bride” and in the process of moving across the country. She really took a lot of stress off my shoulders, and was an amazing guide through-out the process. She genuinely cares about her clients and ensuring that their day is perfect. In addition to her experience and knowledge, I was thankful for her positive and light-hearted personality…always a joy to be around! All of our other vendors couldn’t say enough great things about her, and neither can I. I felt like I was planning my wedding with one of my best friends- thank you Lucia! Lucia Bitner of Foster Blue & Company is a talented, thoughtful and true wedding coordinator. She has a heart of gold along with insight, intuitiveness and the know-how that every couple needs as they plan their day. She understands how to make your wedding a unique special day that becomes extraordinary (bicycles and all!) rather than ordinary because she takes the time to learn about you and what you envision the day to be like, to the smallest of details. My husband and I were so fortunate to have met her and have her help organizing, planning and executing our day flawlessly; not to mention all exceptionally well done in 104 degree heat on our day! YAY for Foster Blue and Co. I used Lucia at Foster Blue for my wedding! She was AMAZING!!! She met with me and my family whenever we needed her! She was so helpful. She helped make mine and my husband’s BIG day a huge hit! Lucia took care of all the little details, I did not have to worry one bit. I would highly recommend her to any future brides!! Have a wedding coordinator is a GREAT investment, and Lucia is the best! Getting Lucia as my wedding coordinator was one of the best decisions I made. My wedding day was stress free and perfect. I have never been so happy before, thanks to Lucia. She made sure everything ran perfectly. Lucia was really a life saver. Her professionalism was greatly appreciated on an emotional and hectic day. She delivered on everything she promised and really made the day enjoyable for us. She was always available for meetings or by phone or email. We will always be appreciative to her for all she did for us on our special day. I am so grateful to have had Lucia with me from start to end. She was a huge help, I couldn’t have done it without her. She helped me create my dream wedding. She was there to set up all my appointments with different vendors and went with me to meet every one. The actual wedding day went perfectly and she was on top of everything. I would highly recommend Lucia. Some say that every woman has been dreaming of her wedding day since she was a little girl…planning the whole thing out – the colors, the bridesmaid dresses, the venue – Well, I for one was not that girl. I didn’t start dreaming about my wedding day until I met my husband and we got engaged, and I had no idea what I wanted. At that point, I need help to create my wedding day dream and then make it happen. Lucia at Foster Blue & Company was exactly the person to do that. Lucia worked with me and my mom (…and my husband) to create the perfect day. She took the time to get to know us and our style and was there for us whenever we needed her. She kept everything organized, scheduled appointments and stayed on top of all the “little things” that come up during the planning process. On our wedding day, she was there to make sure everything ran smoothly and went off without a hitch. We had a couple of issues with the service at our reception venue and Lucia handled the whole thing, I never even know there was a problem. Lucia is caring, stylish, kind and an all around wonderful person. She made my grown-up dream a reality and it really was the best day of my life. She is excellent and I highly recommend her. I am so thankful that we had Lucia to help us throughout the process of wedding planning and on the day itself. She was so helpful, and was on top of details I hadn’t even thought of yet. She really knows what she’s doing. I felt that Lucia truly listened to the things that were important to me in my wedding and helped me create a beautiful ceremony and reception incorporating all those details. Lucia kept us on task throughout the planning, encouraging us all along the way. I would recommend her joyfully and without reservation – your wedding will be better with Lucia involved! Lucia Worked really hard and close with me and my family to plan a wedding in 6 months. She was there from start to end with everything! She treated me like her own daughter. Would defineatly recommend her to anyone planning a wedding! Foster Blue: polished, professional, personal. My daughter recently was married in a large, out-of-state ceremony. Although the bride, groom, and I are all good planners and very organized people, I wanted to be sure we all could enjoy the final week leading to the wedding, and let someone else do the worrying. After interviewing half a dozen wedding planners in Dallas, we selected Lucia Bitnar and Foster Blue to be our “last minute” wedding coordinator. What an inspired choice! Cheerful, organized, professional, always available for questions, Lucia initially double checked arrangements with all of our vendors, found a few minor problems we had overlooked, and had some fun suggestions for the reception that hadn’t occurred to us. She would have done much more for us, but respected that we were a hands-on group who enjoyed doing most of the work ourselves. She kept us on task at the rehearsal, made sure that flowers and lunch made it to their appointed locations on the day of the wedding, ensured that 100’s of handmade favors made it to the reception venue, corralled street clothes and personal items for our large bridal party, and was the go-to woman on the day of our event. Bride hypoglycemic and dehydrated? Lucia! Can’t find the organizer of the secret musical tribute? Lucia! Shuttle busses MIA? Who has all the driver’s cell numbers? Lucia, of course. I expect we could have managed without Foster Blue, but who would want to? All we had to do was party all day; Lucia ensured that everything else unfolded uneventfully. The mother of the groom was very impressed with Lucia’s ability to be both right there for anything, and be totally unobtrusive. Our accolade: “The only people who knew Lucia was not just another guest were the few people who really had to know who she was.” Our day was a perfect as a wedding gets, and I would use Lucia and Foster Blue again in a heartbeat. A consummate professional. Foster Blue made my in-laws celebration a beautiful one to remember. With every detail an important one, Lucia made it the perfect setting, event, and night!!!! I came in so late in the game and within 3 months Foster Blue made the night seem like it was planned for a year. Thanks to their hard work I enjoyed myself and never worried about one single thing. It is the best money spent. I would never host a party or event without Foster Blue. I worked with Lucia at Foster Blue for Full Coordination of my wedding. Lucia was very organized and took great notes in all of our initial meetings. She was able to help me articulate the feeling and decor I wanted at my wedding without having too much of a “theme.” Then, she helped me select and work with vendors to make sure everything was just right and fit into our budget. The weekend of my wedding was stress-free because everything was taken care of. I’ve been known to procrastinate, but Lucia kept me on track. When it was time for the wedding, all I had to think about was my husband and having fun. I’ve been to other weddings with and without coordination and mine was by far the smoothest process I’ve seen. If anything did go awry, I didn’t know about it — Lucia took care of it before I heard or saw anything! 🙂 In addition to being a fantastic wedding planner, Lucia has a beautiful heart and it was a joy to get to know her during the months leading up to our wedding. I am so pleased with the service I have received from Foster Blue and would happily recommend Lucia to all of my friends.